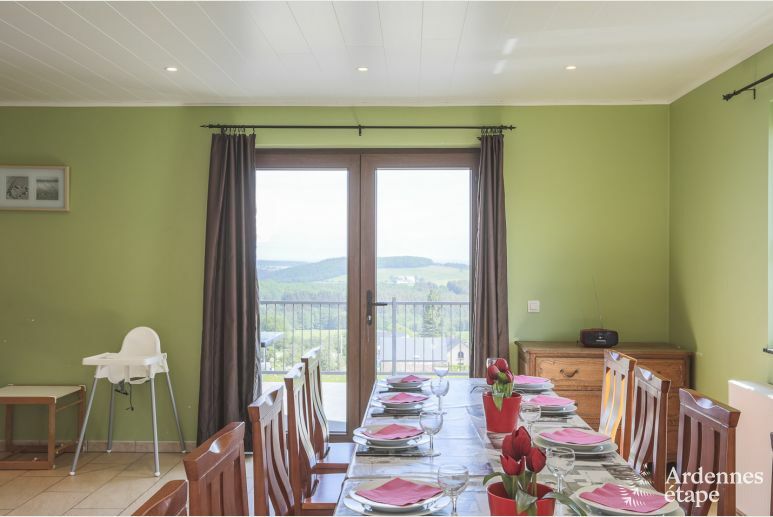 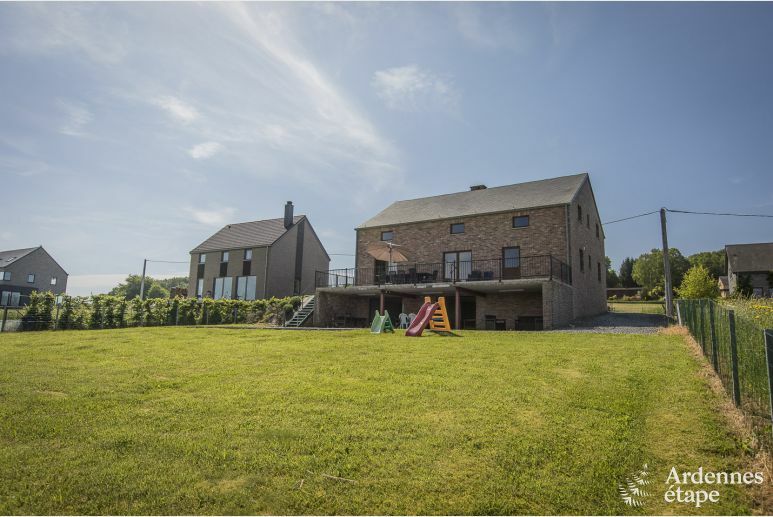 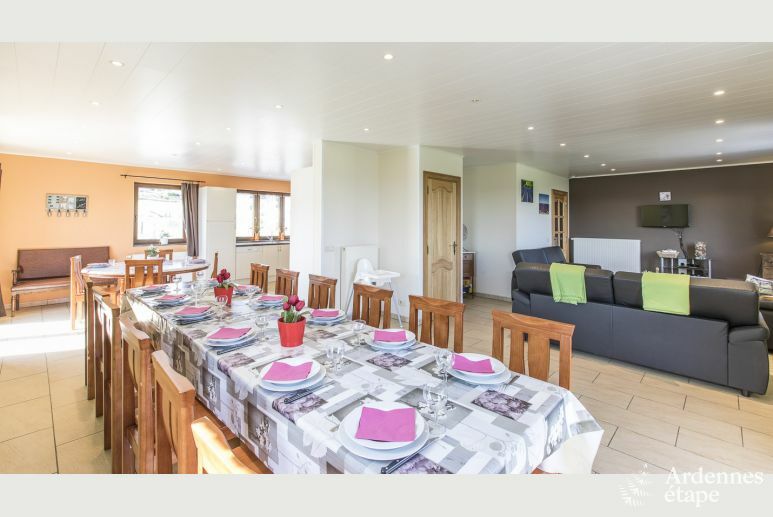 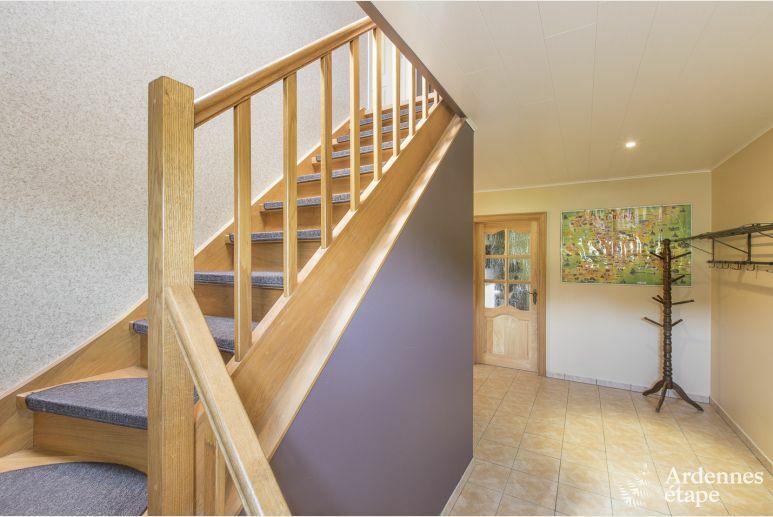 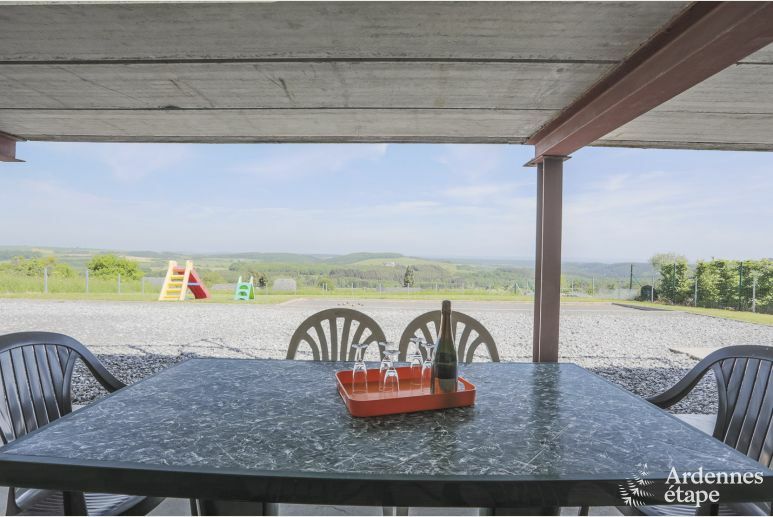 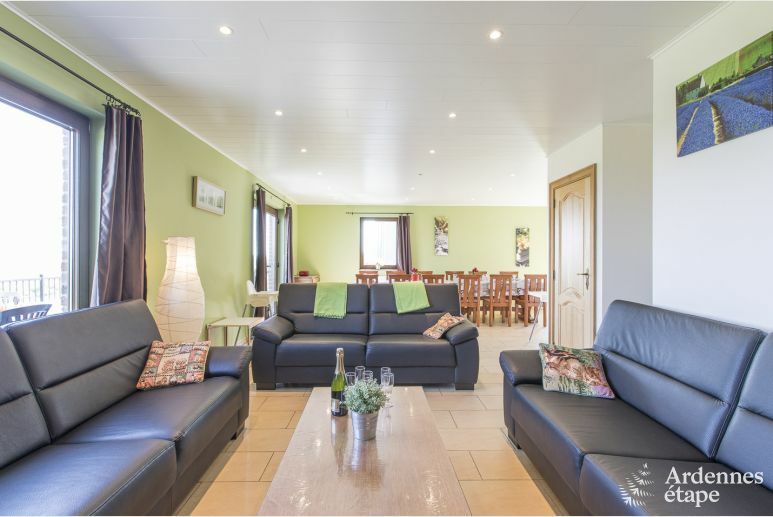 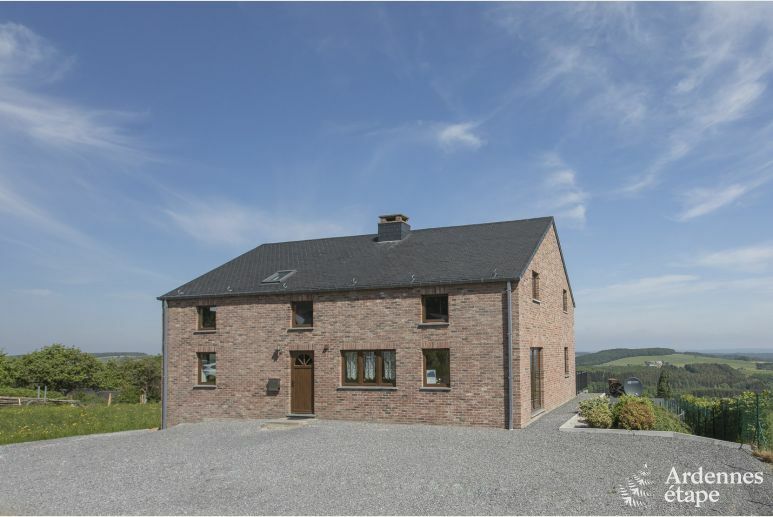 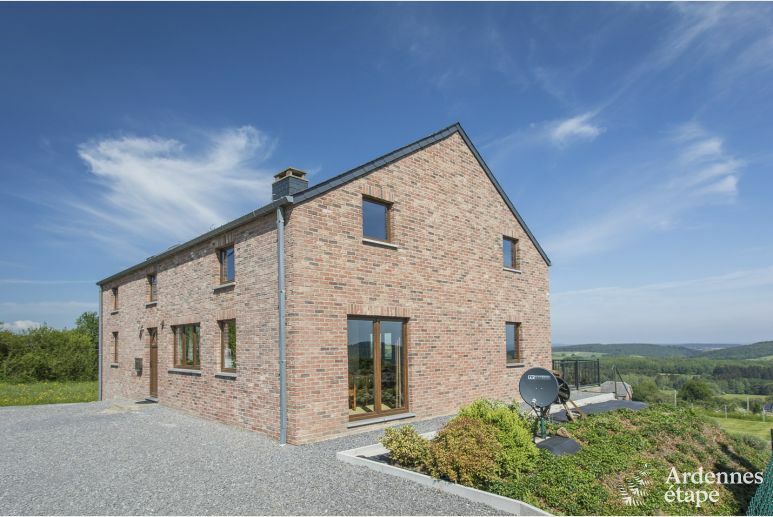 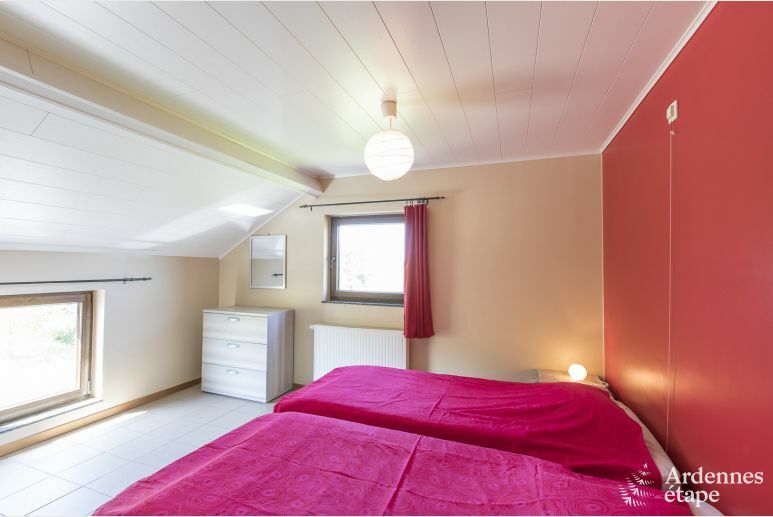 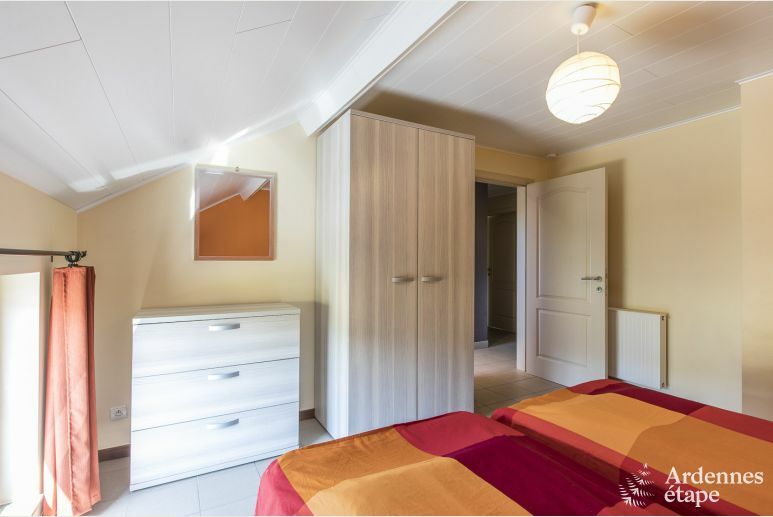 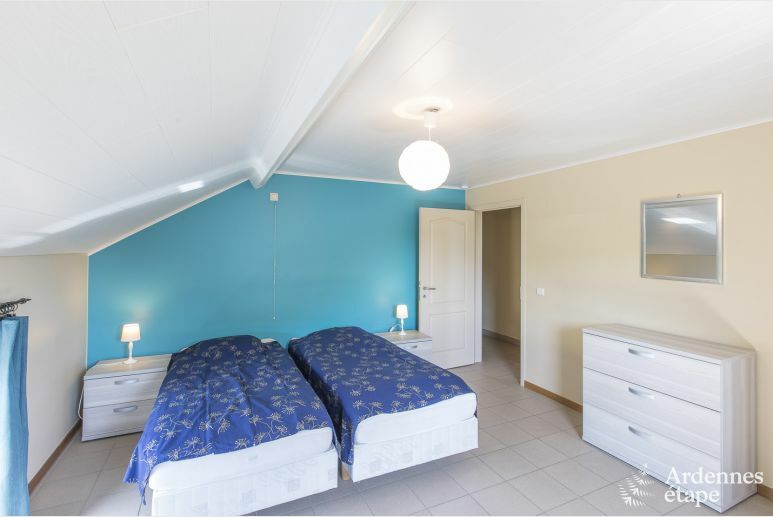 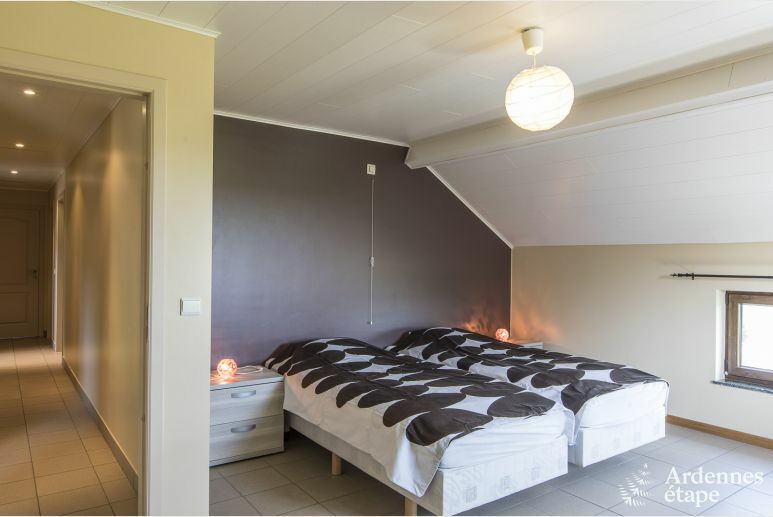 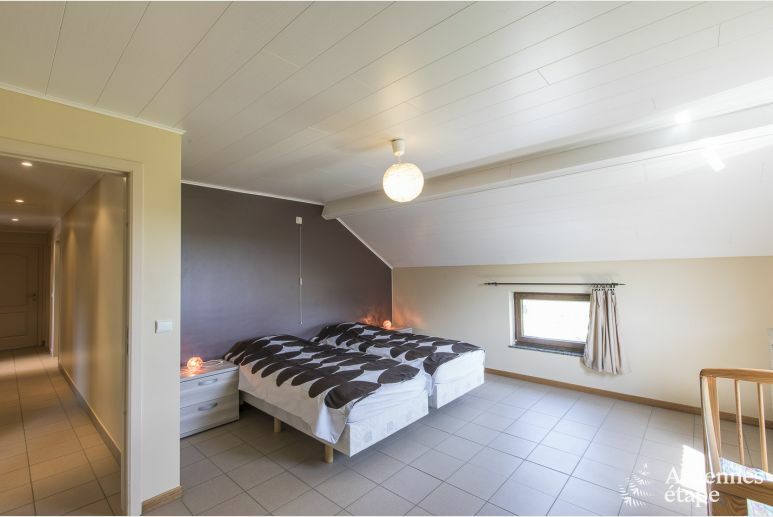 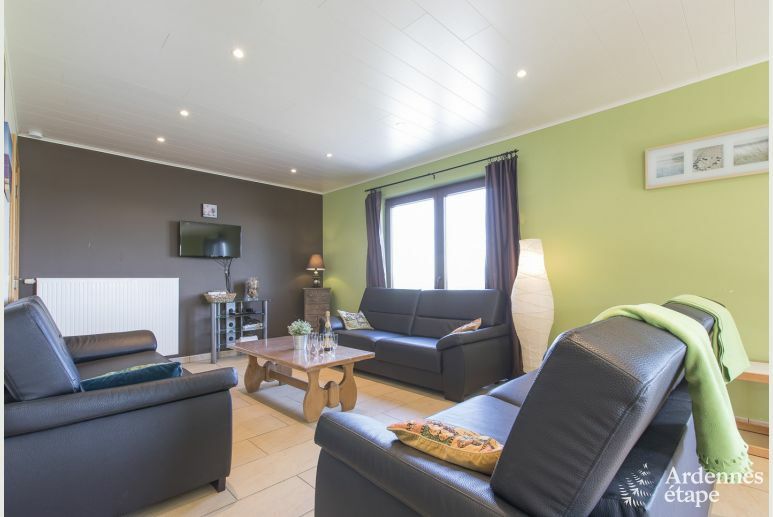 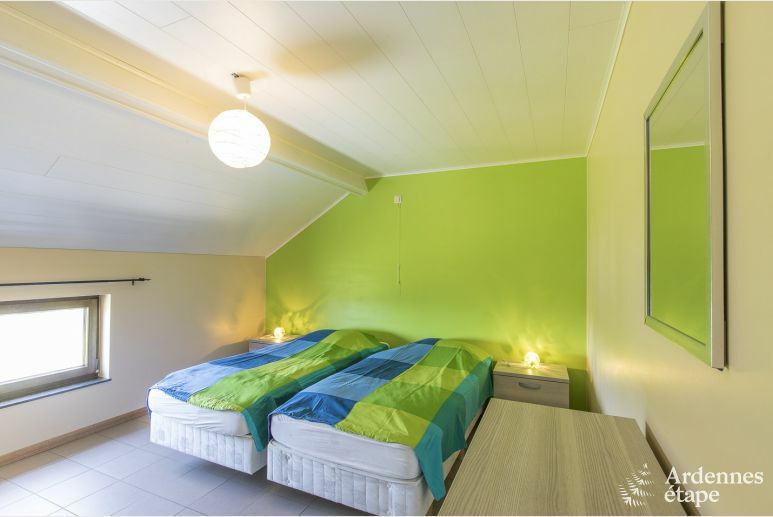 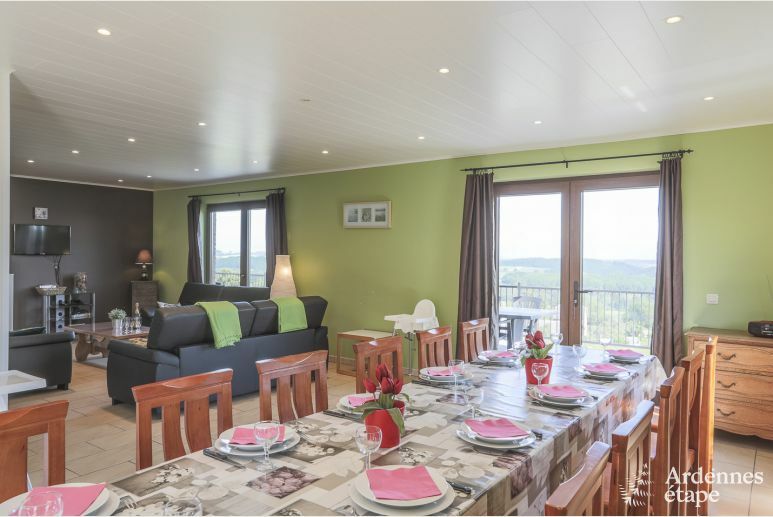 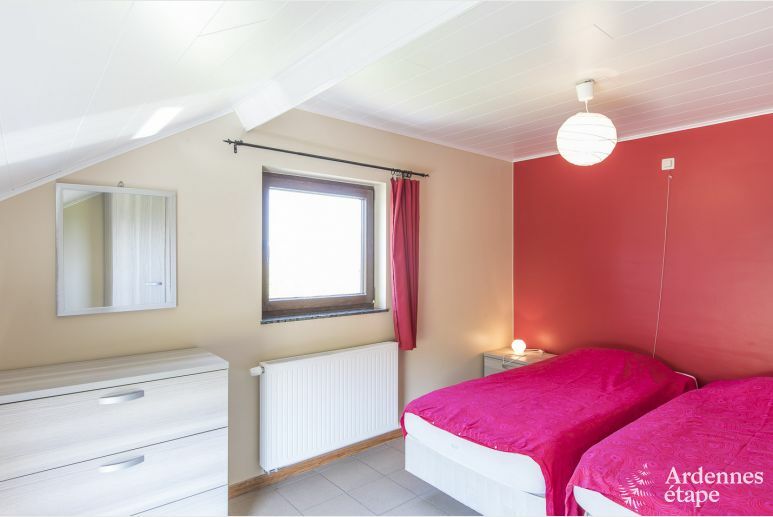 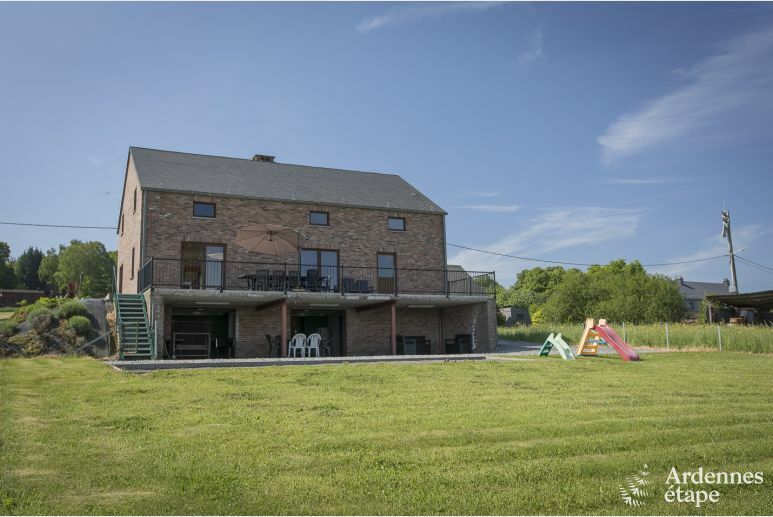 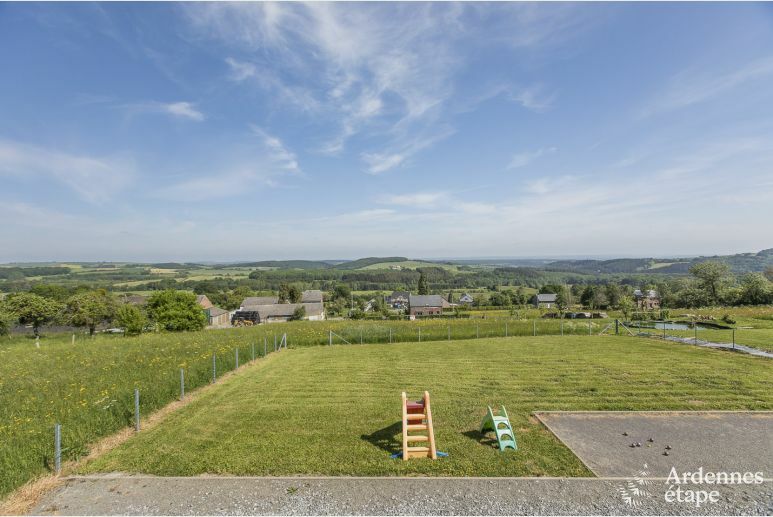 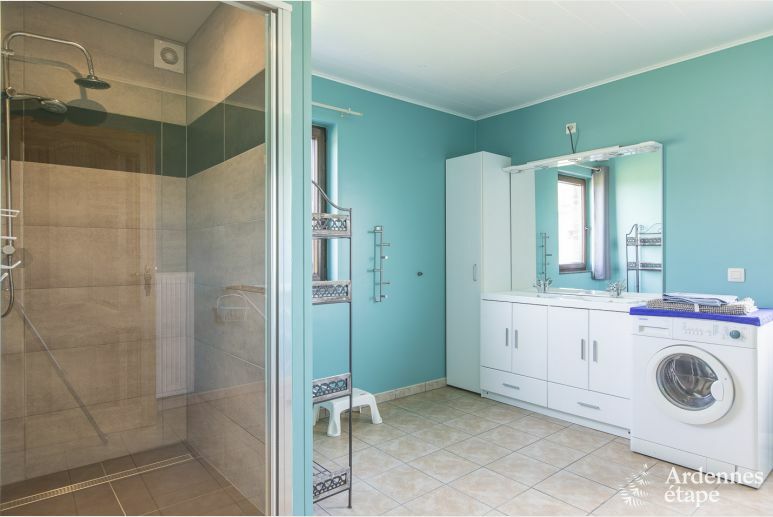 This 3 star holiday villa for 12 persons in Beauraing in the province of Namur awaits you for comfortable family holidays . 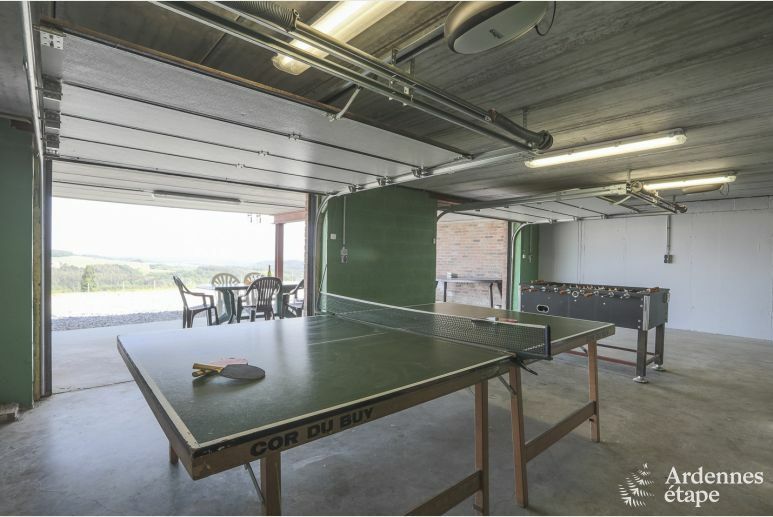 Organise a petanque tournament while the fire is heating up. 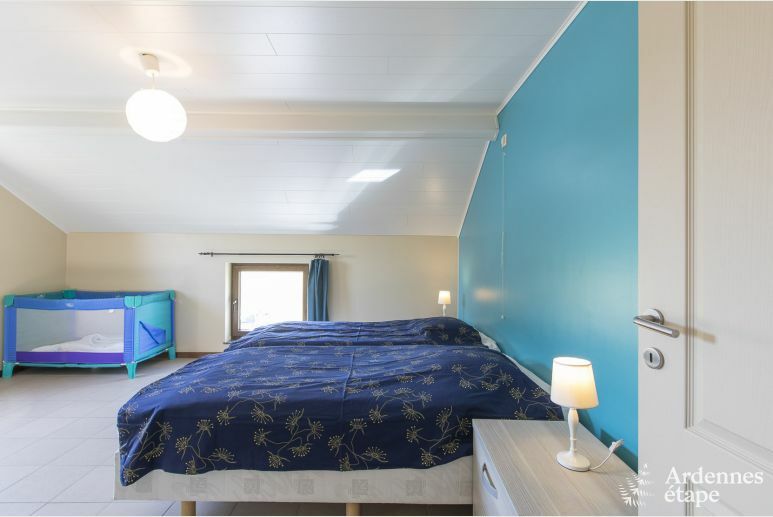 Your vacation home is located just 30 km from the well-known Euro Space Center, a unique center about the universe for the whole family. 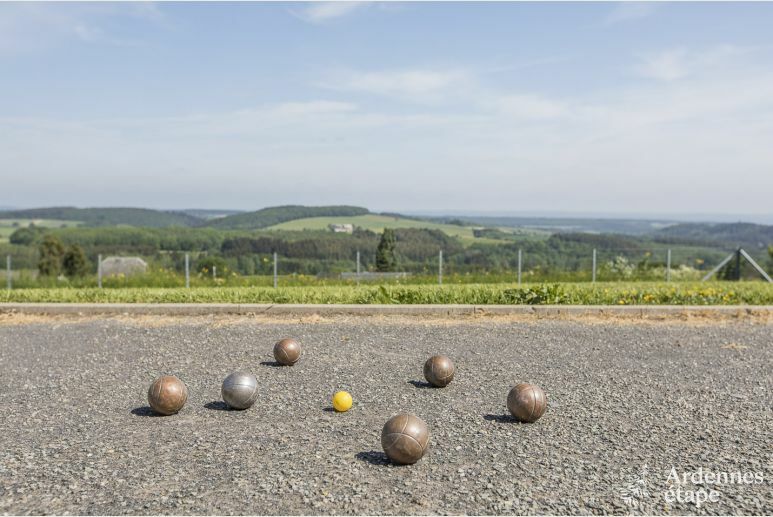 A remarkable and playful activity. 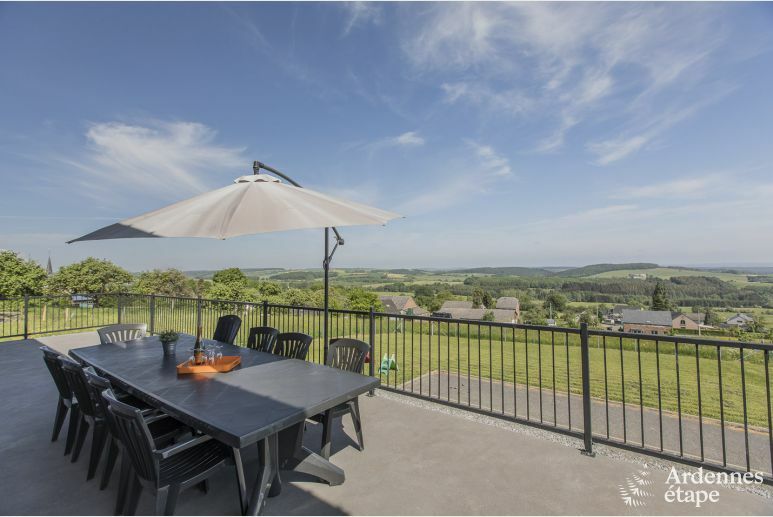 This 3 star holiday villa for 12 persons in Beauraing in the province of Namur awaits you for comfortable family holidays. 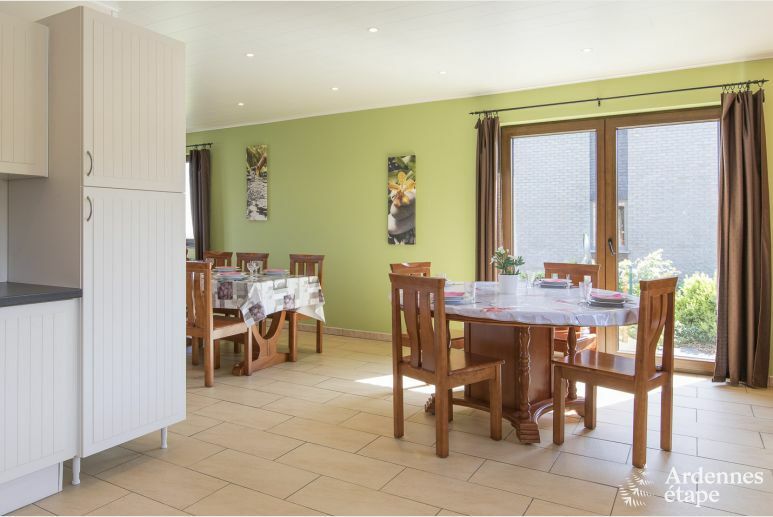 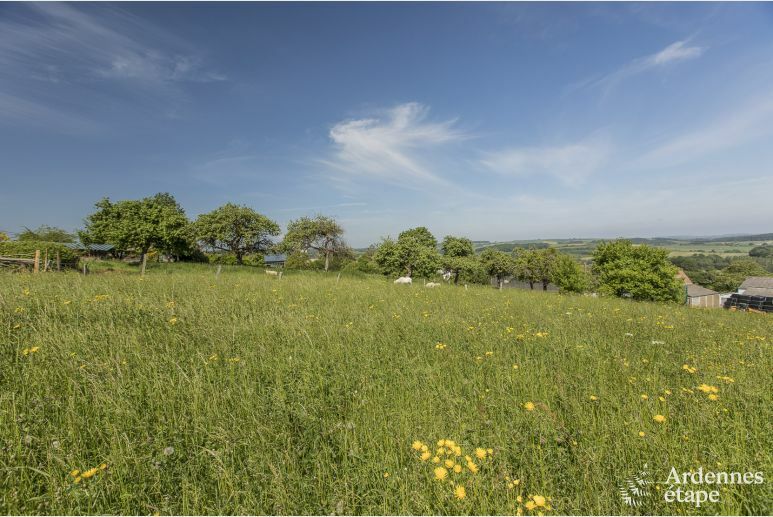 You will immediately be delighted by this charming holiday rental and its lovely environment. 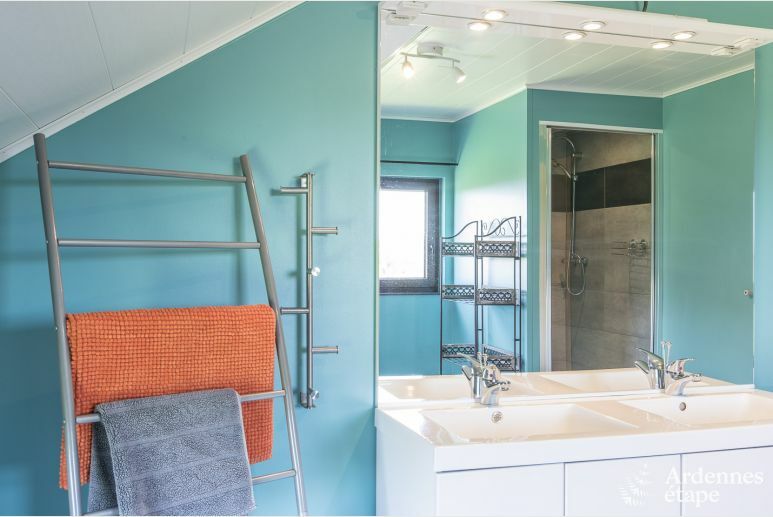 You will be able to admire a beautiful green setting thanks to quality outdoor equipment. 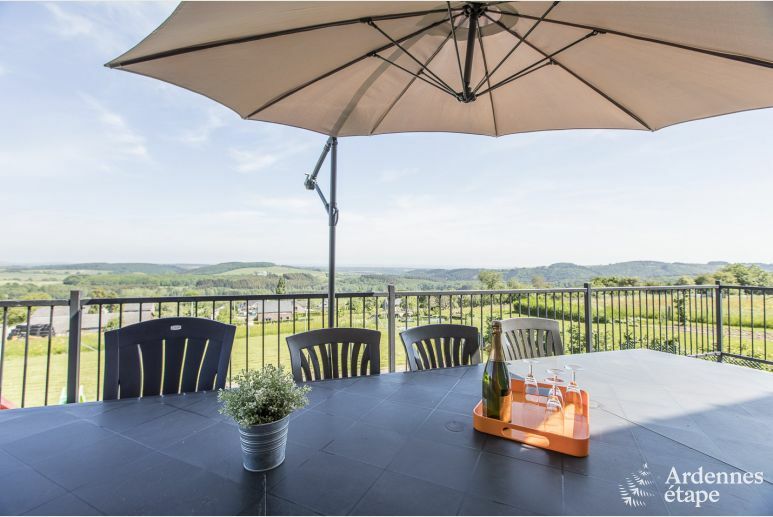 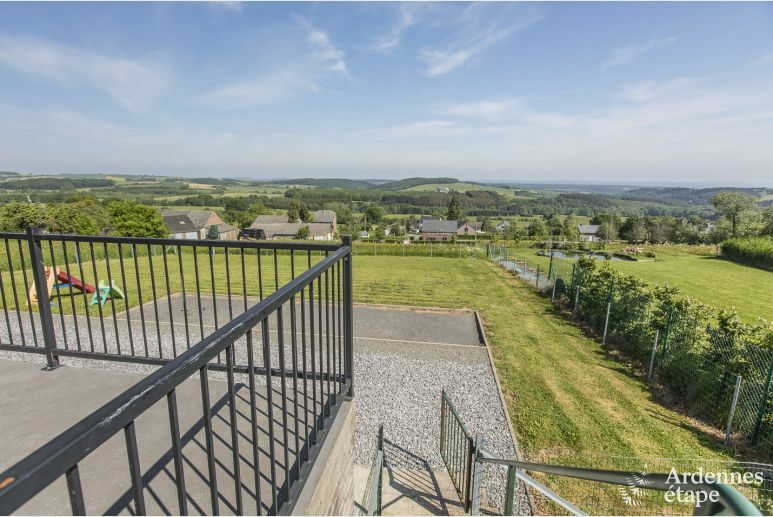 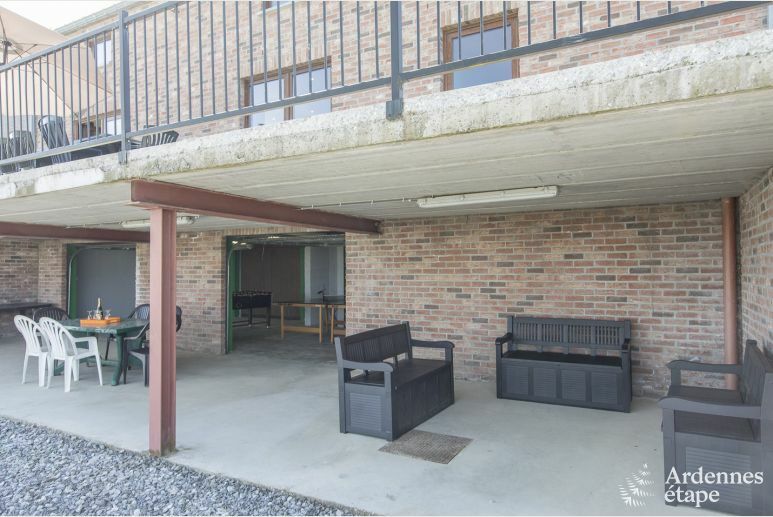 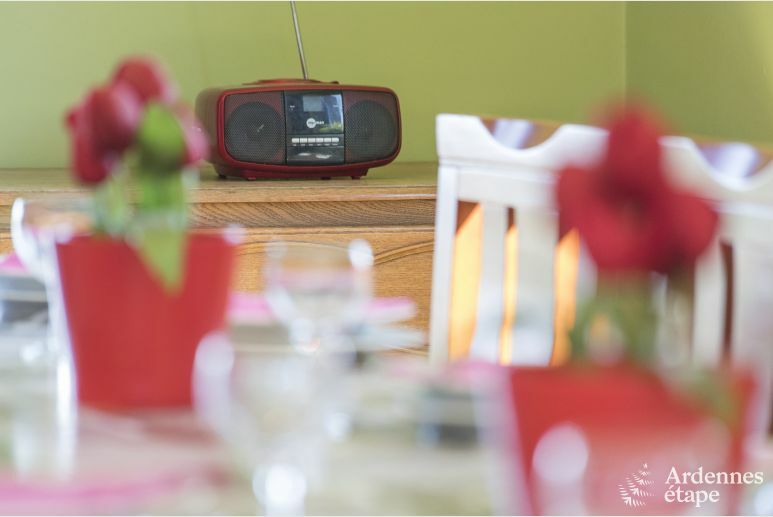 In summer, you will undoubtedly enjoy a delicious barbecue on the terrace and maybe organise some petanque tournament in the large private garden. 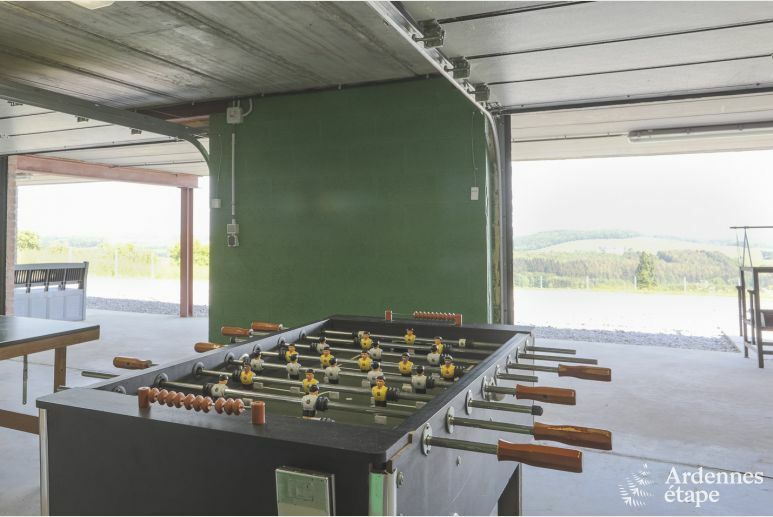 As far as the children are concerned, they will be happy to find a playroom with children games (table tennis table and soccer table). 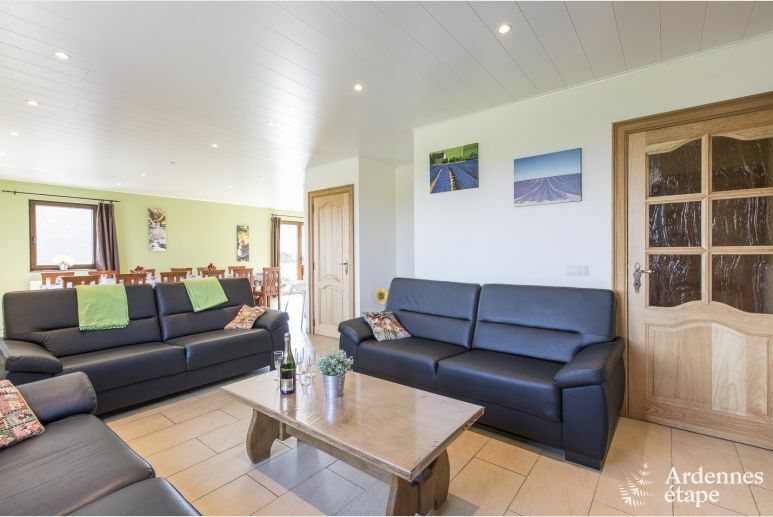 On the ground floor, you will be able to share some pleasant family moments in the sitting room and enjoy some delicious meals in the large living room. 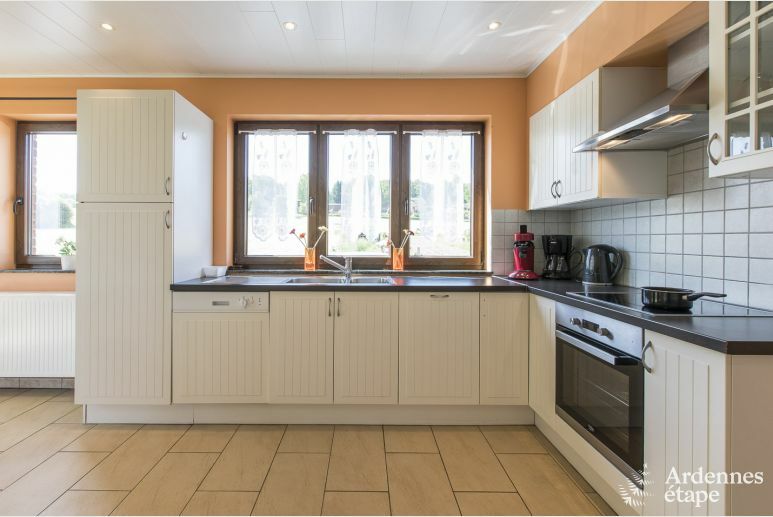 The well-equipped and functional kitchen will indeed satisfy the most demanding gourmets. 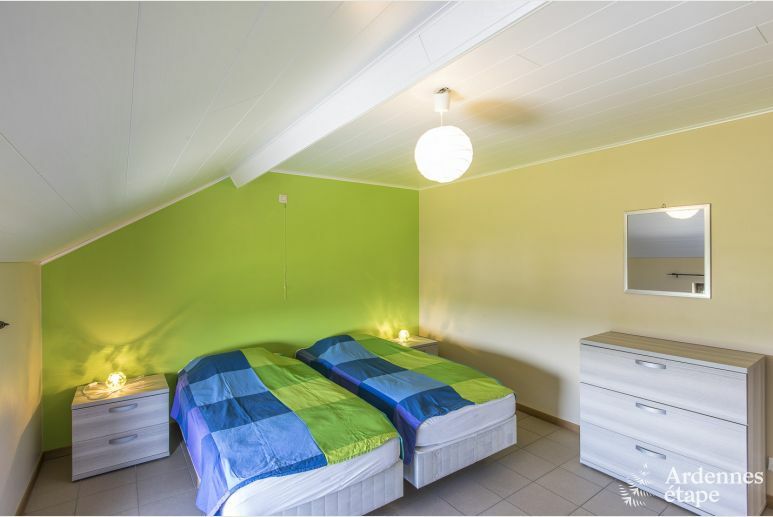 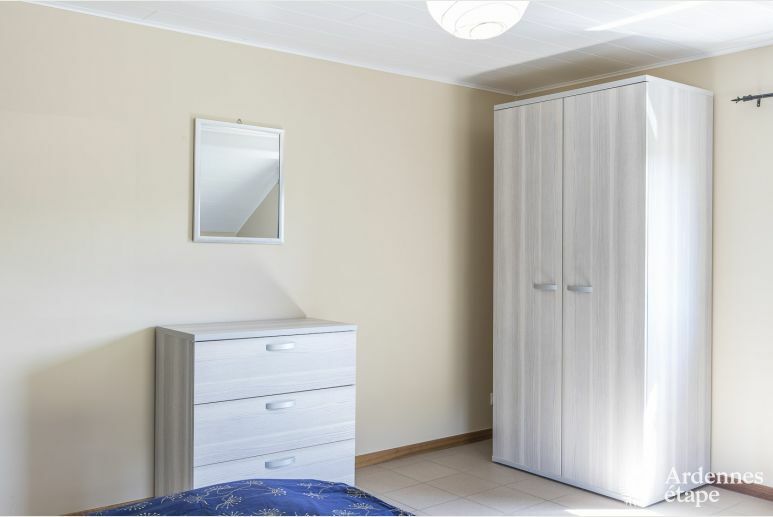 On the first floor, you will find 5 of the 6 beautifully decorated bedrooms. 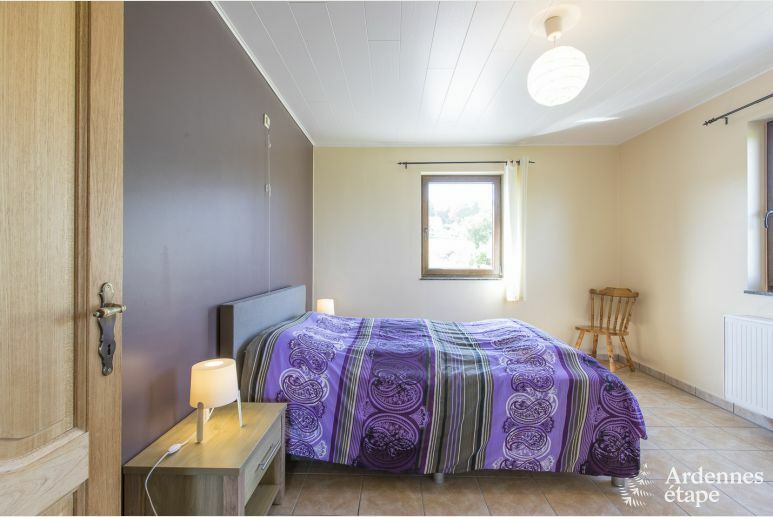 The house is equipped with 6 bedrooms and 2 bathrooms. 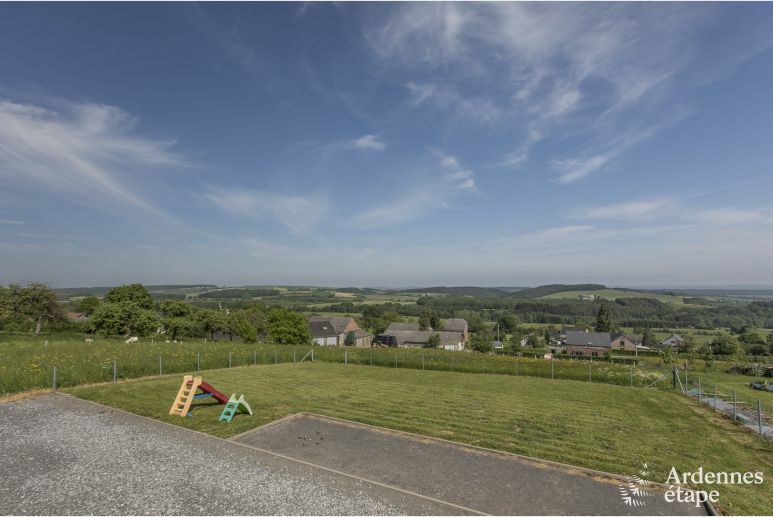 Beauraing is a lovely town of the Ardennes region with a pleasant atmosphere, several hiking trails and cycling routes. 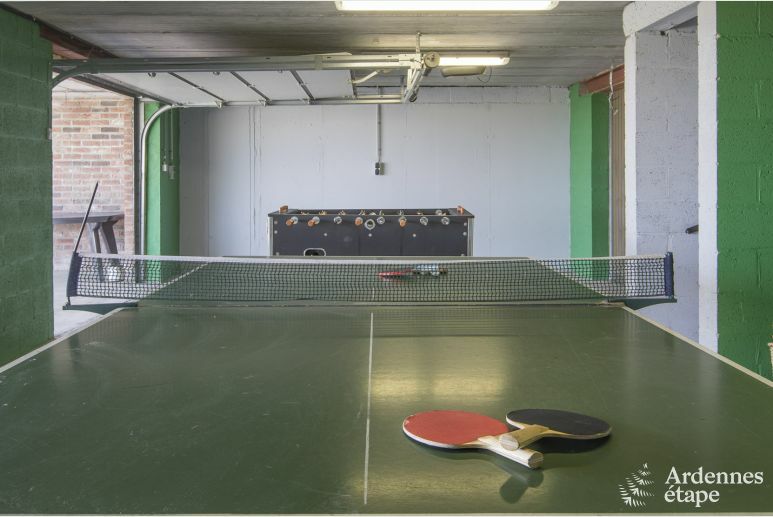 You will even be able to hire your equipment at Cycle Sport. 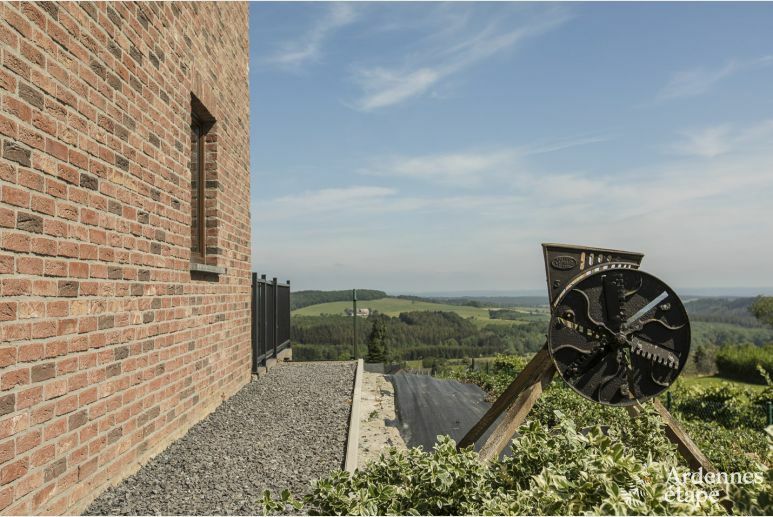 The underground of the region is also worth visiting: the Caves of Han are indeed both interesting and impressive. 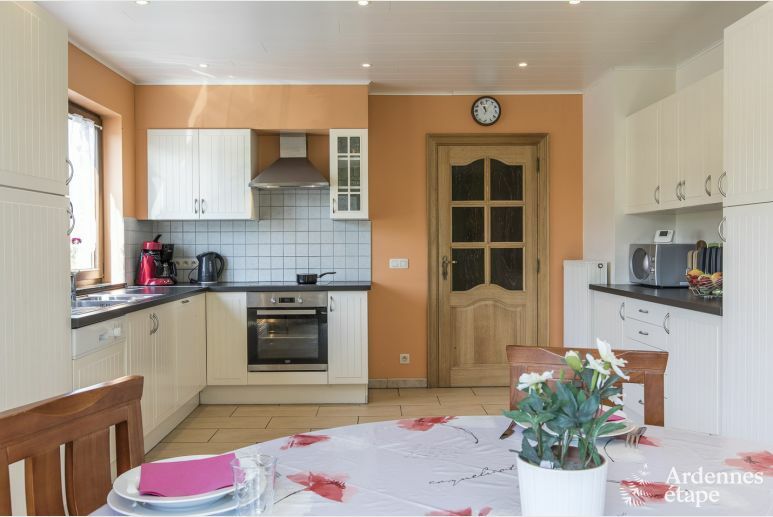 Do not miss the Castle of Lavaux-Sainte-Anne either, a superb estate where you will be able to wander about. 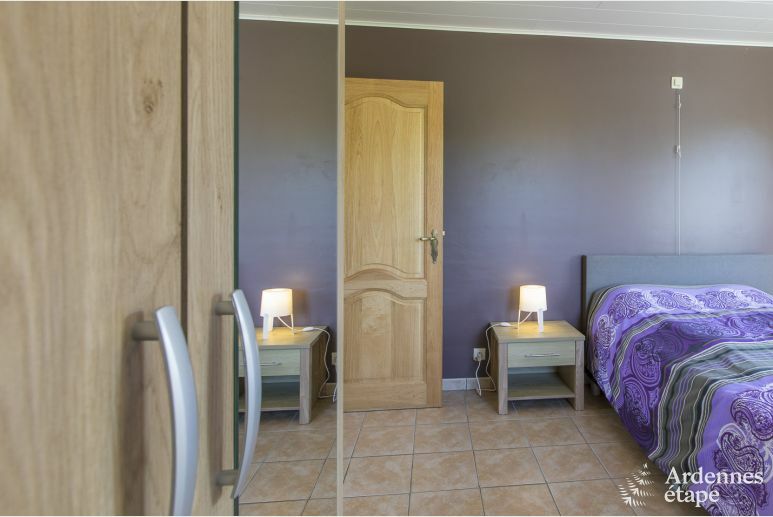 For History enthusiasts, the Castle of Vêves is also an essential stopover during your stay. 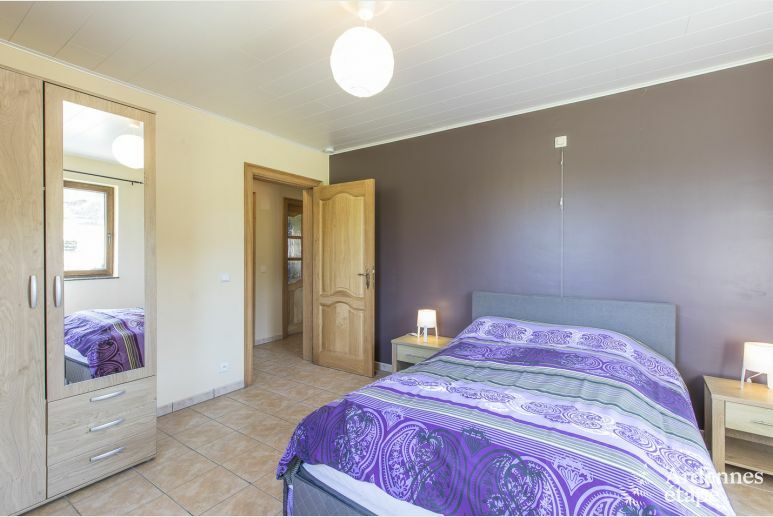 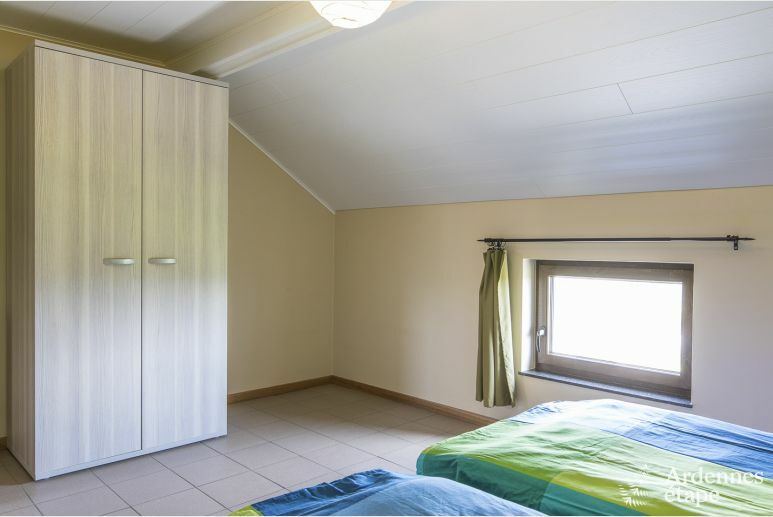 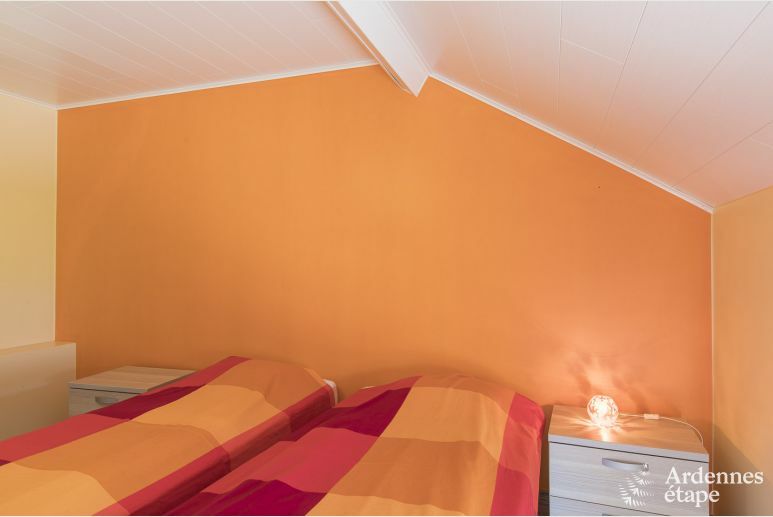 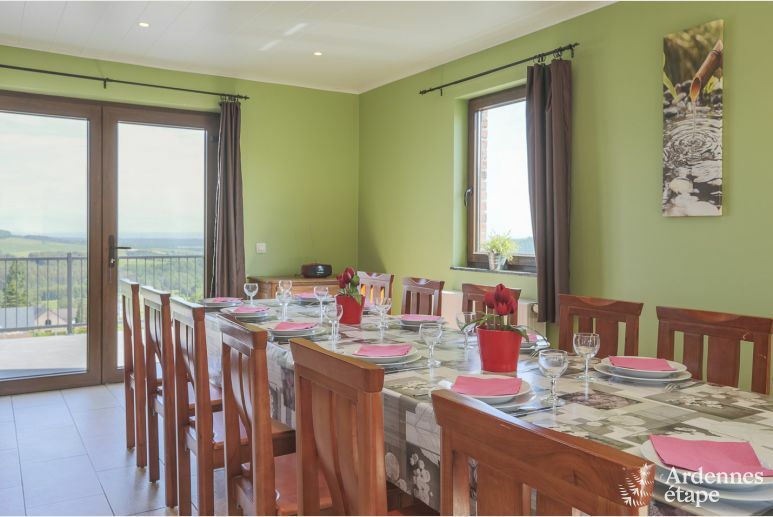 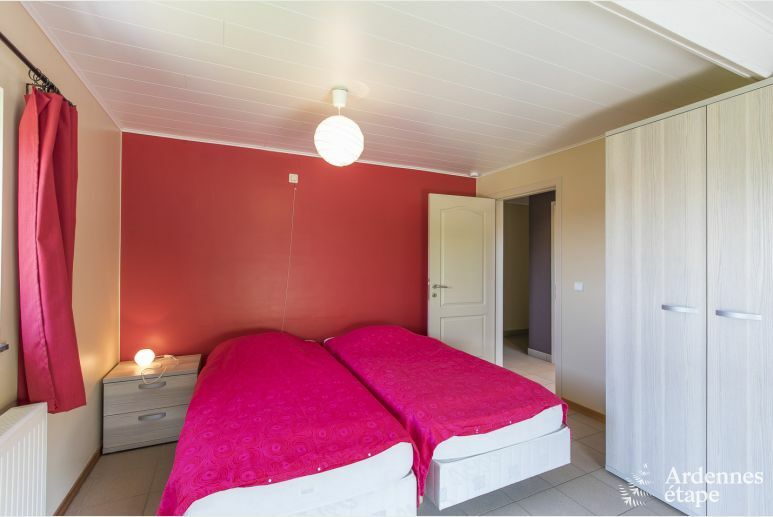 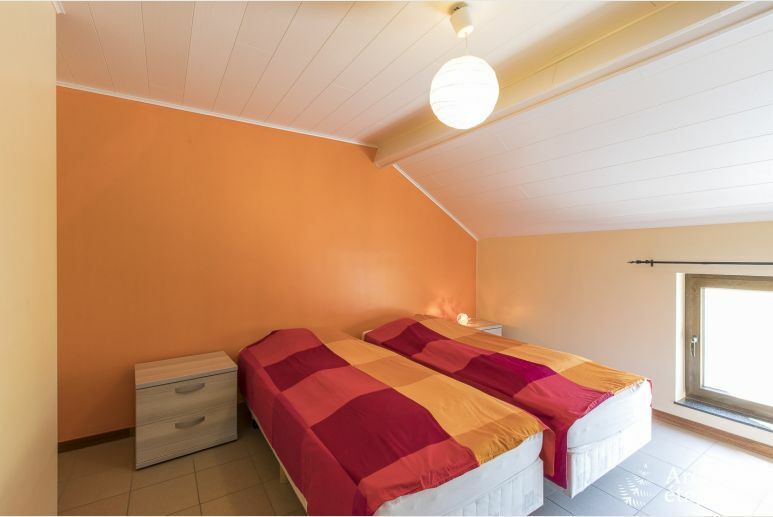 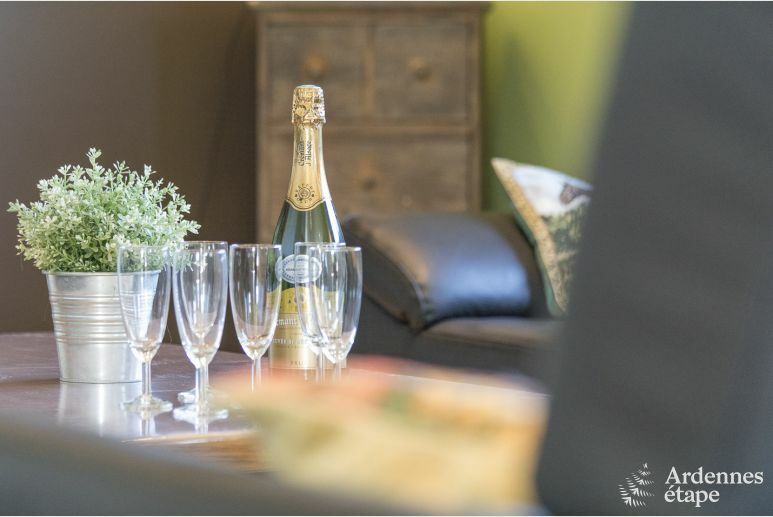 Book this holiday home for 12 persons now and enjoy perfect holidays in Beauraing! 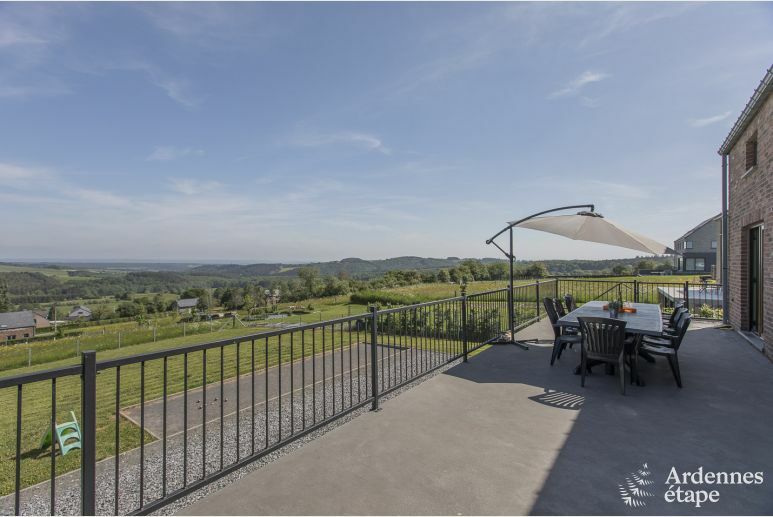 Vencimont is a small village in the province of Namur and belongs to the municipality of Gedinne, where many signposted hikes are to be found. 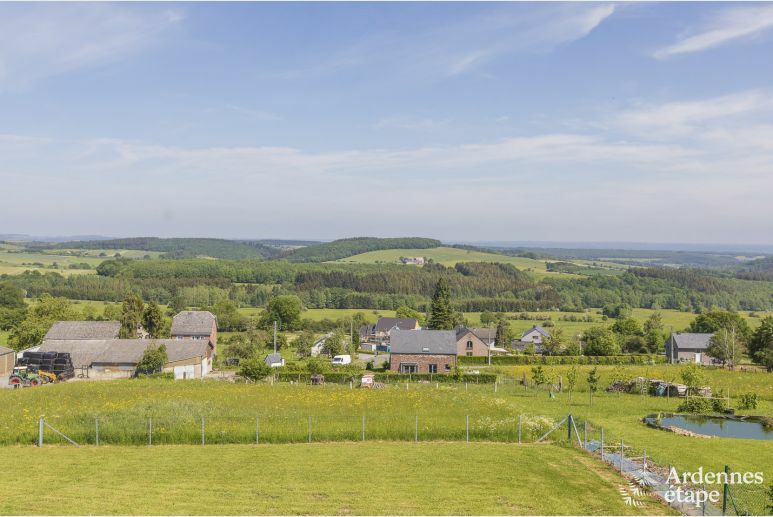 It is one of the last places before crossing the border with France and is the perfect spot to start exploring the Belgian Ardennes by foot or by bike. 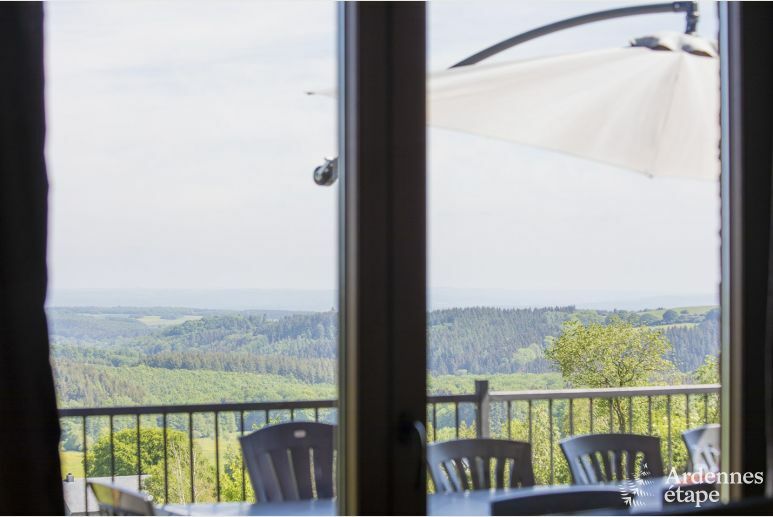 Furthermore, Vencimont is just a 40 minutes' drive away from Rochefort and Bouillon, two charming Ardennes cities. 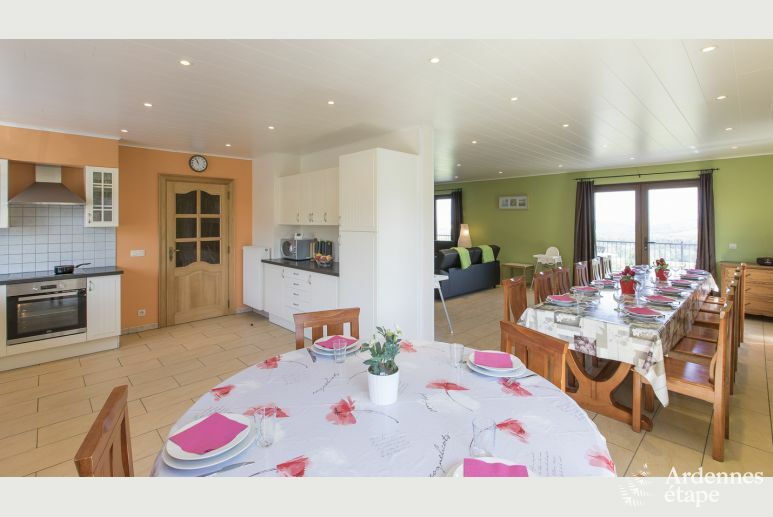 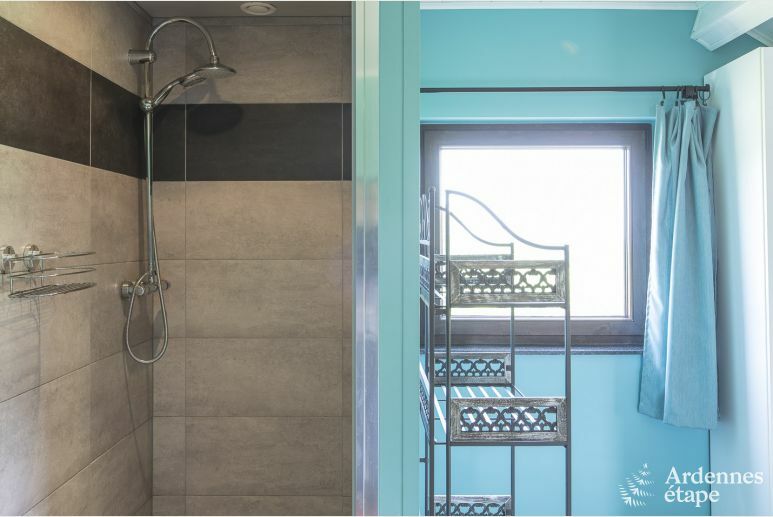 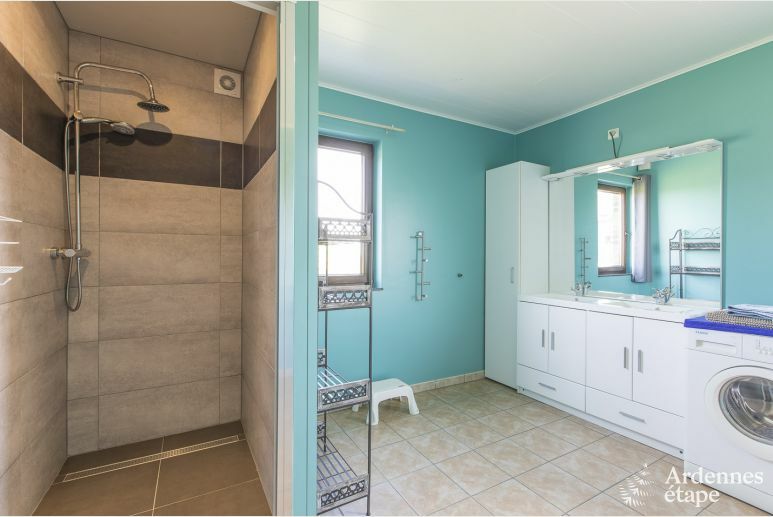 Très belle maison , bien situé, ce fut un superbe séjour. 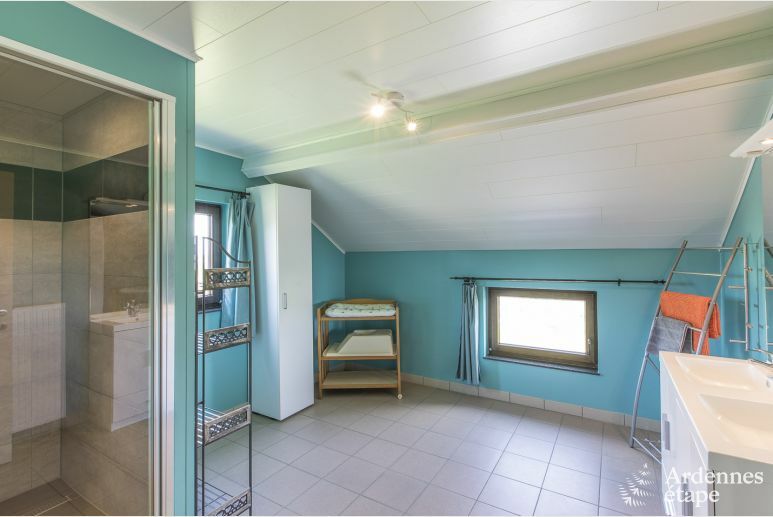 Net en ruim huis. 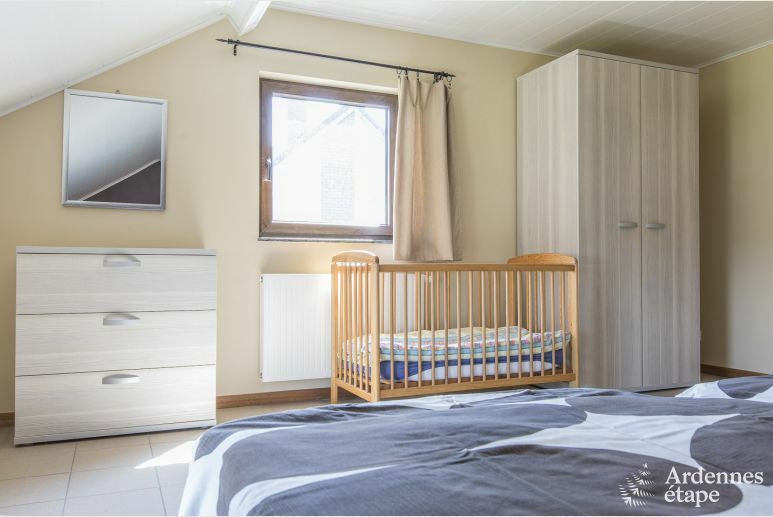 Alles is aanwezig.